Stainless Steel : AISI 304, 304l, 304h, 310, 310S.316L, 316h, 310, 310s, 321, 347, 410.420, 431, etc. 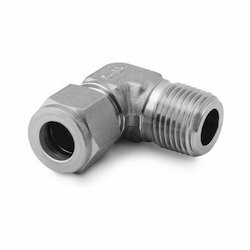 We provide stainless steel elbows from 15NB TO 350NB in welded/Seamless form as per customers requirement. Shailesh Steel & Engg. Co. 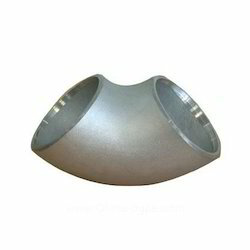 Stainless Steel Elbow, Size: 1/4 To 2"
We specialize in offering SS Elbow. Being a well-distinguished company in the market, we are into offering 302 Stainless Steel Elbow. We are ranked on top by offering the best quality of Stainless Steel Elbow. Owing to our in-depth knowledge of this domain, we are specialized in providing Stainless Steel Elbow. We have gained a remarkable position in the market that is involved in offering SS Elbow. As an affluent name of this domain, we hold expertise in providing high quality Stainless Steel Elbow. Matching up with the exact requirements of customers, we are involved in presenting wide array of Stainless Steel Elbow. Our association is broadly known for maintaining the quality in offering SS Elbow.